ABCC has shortlisted Transcodium for their voting round, voting will start from 25th September and will be open till Oct 2nd. ABCC has $150,000,000 average volume and has plenty of popular tokens listed. 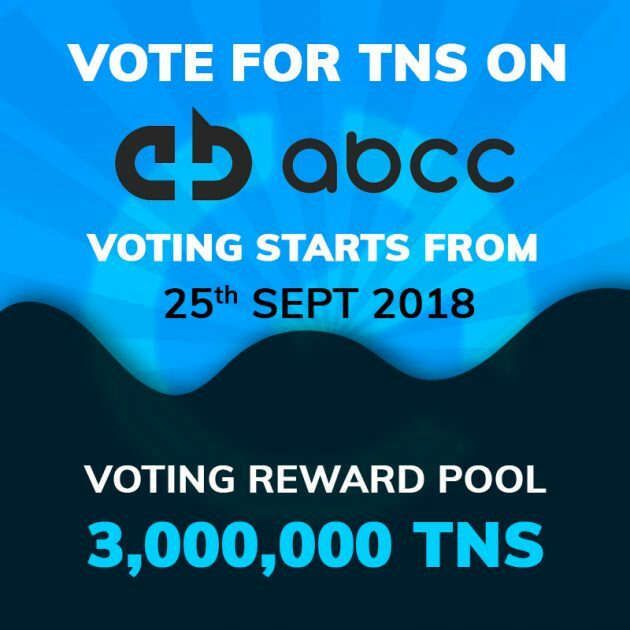 If TNS is listed on ABCC around 12 Oct, all TNS voters with valid votes can win an equal share of 3,000,000 TNS candies. Fingers crossed that TNS gets listed and … receive your gifts! When you trade on ABCC, you will receive AT as a bonus. ABCC reward users holding AT with 80% of our daily trading fee income in BTC, ETH and USDT. We need your support to help us win this voting round.